I have long intend­ed to write more here about spe­cif­ic jazz record­ings that include bas­soon. I have many favorites span­ning basi­cal­ly the whole his­to­ry of jazz, which I’ll get to even­tu­al­ly. But I’ve decid­ed to start with a recent album from a band that’s new to me. 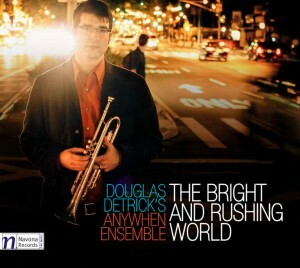 Last month I received a copy of The Bright and Rush­ing World by Dou­glas Detrick’s Any­When Ensem­ble (thanks, Dad!). This, the group’s third album, was record­ed in 2012 and released in March of this year. I’ve been lis­ten­ing to the disc on and off over the past few weeks, and I quite enjoy it. We believe in the unex­pect­ed. Our sig­na­ture instru­men­ta­tion sets us apart, but we make our real impact through bold new com­po­si­tions that inte­grate cham­ber music con­cep­tion with jazz spon­tane­ity. We believe that great music can hap­pen any­where, any­how, any­why, and any­when — ours is fit­ting music for this bright and rush­ing world. Indeed it was their uncom­mon instru­men­ta­tion that drew my atten­tion in the first place. The group is a quin­tet con­sist­ing of trum­pet (Dou­glas Det­rick), sax­o­phone (Hashem Assadul­lahi), cel­lo (Shirley Hunt), bas­soon (Steve Vac­chi), and drums (Ryan Bie­sack). This very assem­blage of instru­ments seems to bridge the cham­ber music and jazz worlds rather nice­ly. Although they all cer­tain­ly appear in both realms, sax­o­phone and drum­set tend to be asso­ci­at­ed with jazz while bas­soon and cel­lo tend to be asso­ci­at­ed with clas­si­cal music. Trum­pet is the one instru­ment here that com­mon­ly appears in both musics, and it’s per­haps fit­ting that Det­rick, the group’s leader, occu­pies that linch­pin posi­tion. Det­rick also serves as the ensemble’s chief com­pos­er. In fact, the quin­tet got its start play­ing music for his grad­u­ate com­po­si­tion recital at the Uni­ver­si­ty of Ore­gon, where Steve Vac­chi is Pro­fes­sor of Bas­soon and Cham­ber Music. The Bright and Rush­ing World is a sin­gle album-length com­po­si­tion, divid­ed into ten movements/tracks. They aren’t all com­plete­ly con­tin­u­ous, but most flow into each oth­er with­out sub­stan­tial breaks or strong cadences. 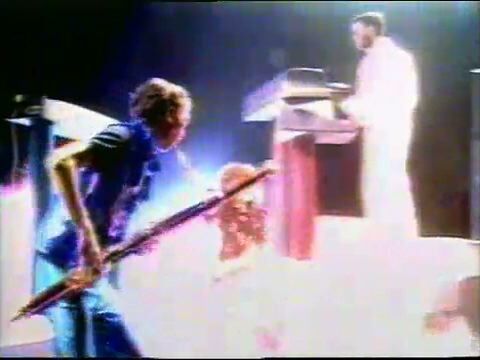 The first word that came to my mind to describe this music was “atmos­pher­ic,” but that’s not exact­ly right. “Spa­cious” might be a bet­ter descrip­tor. Det­rick makes judi­cious use of silence, as well as trans­par­ent tex­tures. The pac­ing is also gen­er­al­ly grad­ual — themes, tex­tures, and grooves are giv­en plen­ty of time for devel­op­ment. There are a few hur­ried moments, such as pointil­lis­tic inter­jec­tions in “Into the Bright and Rush­ing World.” But even these are rel­a­tive­ly short, and are book­end­ed by silence, laid back drum grooves, and/or much sim­pler melod­ic mate­r­i­al. It is often dif­fi­cult to tell exact­ly where the com­posed music ends and the impro­vised play­ing begins, which I imag­ine is by design. Det­rick pro­vides the ensem­ble with many oppor­tu­ni­ties for explor­ing inter­est­ing com­bi­na­tions of tone col­ors. In the first move­ment (“The door is open”), sax­o­phone, cel­lo, and bas­soon act like a sin­gle instru­ment, cre­at­ing a lush organ-like accom­pa­ni­ment for Detrick’s some­what mean­der­ing melody. In the mid­dle of the sixth move­ment (“You nev­er thought to give a name”), the four melody instru­ments play over­lap­ping slith­er­ing lines, almost the son­ic equiv­a­lent of a mass of writhing ten­ta­cles. Cel­lo, bas­soon, and trum­pet var­i­ous­ly emerge as solo lines from this tex­ture, then melt back into it. It’s a very cool effect, and I can’t real­ly do it jus­tice with a writ­ten descrip­tion. What real­ly makes these and oth­er timbral/textural devices with­in the piece work is that these play­ers blend with each oth­er excep­tion­al­ly well. This, com­bined with the fact that Det­rick often places the instru­ments (par­tic­u­lar­ly the bas­soon) in extremes of range, stretch­es the listener’s ear, some­times mak­ing it dif­fi­cult to iden­ti­fy exact­ly who is play­ing. Although Det­rick cer­tain­ly has his own par­tic­u­lar treat­ment of tim­bre in this piece, it is not uncom­mon for a bas­soon­ist to appear in jazz groups that make inter­est­ing tone col­ors a fea­ture of their music. 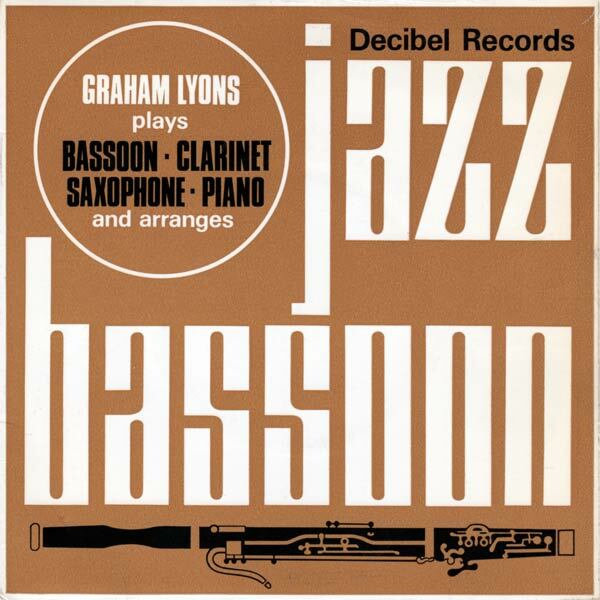 Sym­phon­ic jazz ensem­bles of the late 1920s and ear­ly 1930s employed all man­ner of instru­ments in an ongo­ing search for new and dif­fer­ent sounds and tone col­or com­bi­na­tions. The band­leader Paul White­man employed at least six wind play­ers who dou­bled on bas­soon, most notably Frankie Trum­bauer. Lat­er, in the cool jazz of the 1950s, arrangers favored thick tex­tures and warm tim­bres. They made fre­quent use of instru­ments such as the bas­soon, French horn, tuba, and cel­lo to achieve their desired sounds. Gil Evans, the most promi­nent cool school arranger, used bas­soons in his arrange­ments for Miles Davis, Char­lie Park­er, Don Elliott, Lucy Reed, and Ken­ny Bur­rell, as well as on some of his own albums. If that’s not enough to con­vince you to go buy this album, then you can hear more sam­ples here. The Bright and Rush­ing World is an inter­est­ing and valu­able addi­tion to the bas­soon-in-jazz canon, and I’m look­ing for­ward to check­ing out the Any­When Ensemble’s two pre­vi­ous albums some­time soon: Walk­ing Across (2008) and Rivers Music (2011). David, thank you for mak­ing me aware of this group. I plan on get­ting the record­ing. From what I have heard the writ­ing is very orig­i­nal and the bas­soon­ist seems to have a very warm sound and ease while impro­vis­ing. I am also inter­est­ed I’m hear­ing more from this group.